The new year starts for me with one of the great small films that got released at the end of the last year. 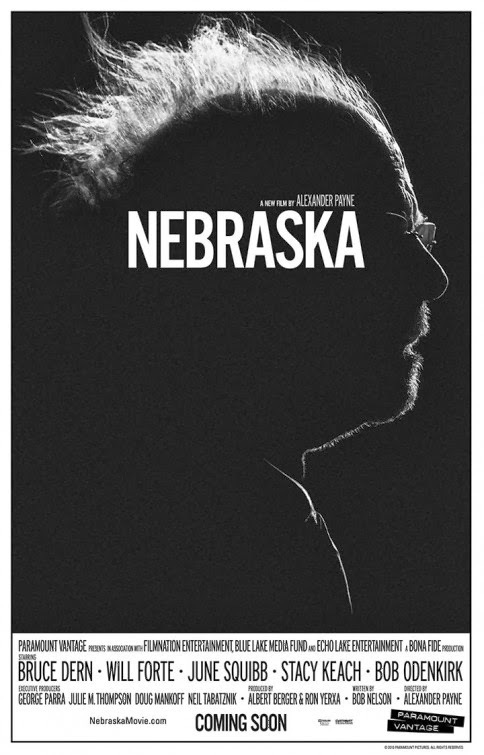 “Nebraska” has been talked about since the Cannes Film festival way back in May of last year when Bruce Dern was given the award for best actor. Since that time, it’s reputation has grown creating more anticipation and earning several end of the year accolades. There certainly deserves to be attention thrown at the actors in this film, they all do an outstanding job of playing some cantankerous, confused, concerned and conniving personalities. There are several aspects of the story that ring a little close to home at times but in the end, the story manages to be about the connection we have with our loved ones, even in the most trying of times. Dern plays “Woody Grant”, a delusional old man who is not particularly likable. He is not a mean man or particularly sneaky although once or twice he does say things that might be hurtful to his younger son. The one thing he definitely is however is determined. Having had some first hand experience with elderly dementia, I can say it was easy to relate to the frustration that his family goes through when he is determined to get to Lincoln,Nebraska in order to collect his imagined prize. He is not infirm and his level of dementia is not such that he can easily be distracted. His good hearted son David, played by Will Forte is willing to indulge him so that he does not have to lie to his old man. That desire to do the right thing, even in the face of a ridiculous assumption and obsession, makes David more and more like his Dad than he might have realized. Several times in the story, we hear how “Woody” was taken advantage of by people in the past because he could not say no to them. David repeats the pattern because even though he trys to argue and convince his father that the prize is an illusion, he can’t bring himself to lying and decieving his father or putting him in a home. I probably identify with Forte’s David more than is healthy. My relationship with my father was certainly closer and warmer than the relationship at the center of this story, but both of us feel protective of our old man’s dignity and legacy. Despite the fact that his father is infuriating in his single mindedness and that he is a somewhat sloppy drunk, David still manages to find a well of patience to tap whenever he gets a little overwhelmed. Although there are a couple of medical emergencies that take place in the course of events, they are not used to bring the father and son together so much as they exist to show how willing the son is to make some effort to sustain the old man. I don’t apologize for the way my father was but I do try to explain how he saw things and why I usually could take his side, sometimes even when he was wrong. That was the tone that Forte manages to bring to the role. The character of his brother is a little less defined, but in his own way he conveys the same sort of attitude. Woody’s wife appears to be somewhat bitter and sarcastic and at times not very loving. She is also irreverent and fiercely committed to her husband despite the caustic surface. June Squibb is getting a lot of attention for her role and in the back seat of the car, as the brothers try to remove their parents from some of the situations they find themselves in, she and Dern are well matched older people who understand each others idiosyncrasies. The pace of the film is slow, and there are some wild characters that might stretch credulity, although I have been to enough funerals and family functions to know that relatives can get crazy at times. The final resolution of the story is a bit of an indulgence for David to make but it is deeply satisfying despite the fact that those coincidences of timing on a late drive through town just are not likely. The town is full of good folks and bad ones, and the idea is a solid answer to the heart of what Woody really needs. 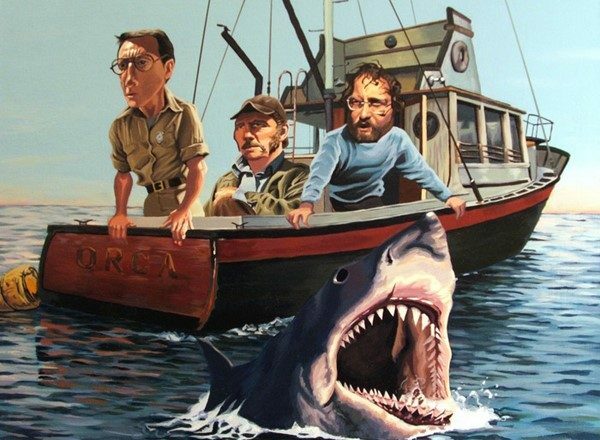 This is a terrific film that grows on you the longer you are immersed in it. The opening hour will test your patience but if you can be like David, the rewards in the end are worth it.